Im Krieg Gefallen: Taped neck done! Surprisingly, more then 1 roll of PVC tape was used up for the neck. 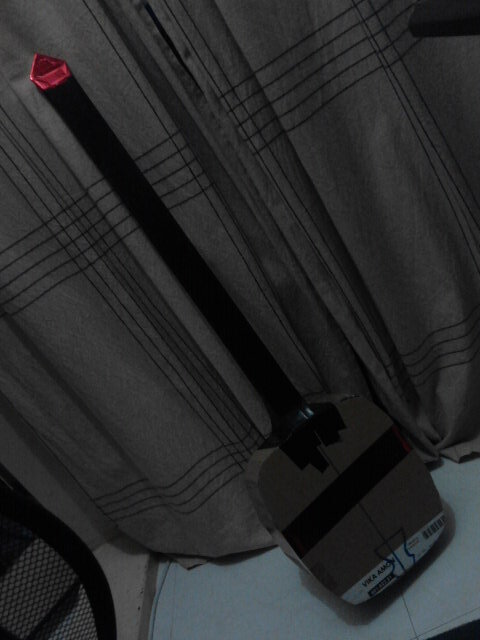 I am quite reluctant to use PVC tape initially(the thin version) but the existence of a thick one is nil. Except for duct tape, which is totally a huge NO NO! This tape is... not sticky at all. which is really great. I don't have to worry about any residue from the sticky back. Well, here is the taped neck. Will add the red velvet body skin next. Not now because I realised that I haven't cut the gold flowers yet. The head will be done last.